Using Buddhism as a roadmap for navigating the fear, loneliness and grief of a broken heart, Meshel explains how the concepts of Emptiness and Impermanence can help us to see things clearly. With her wry humour and trademark honesty, she shares how one of her biggest challenges turned out to be a golden opportunity for personal growth and greater happiness. 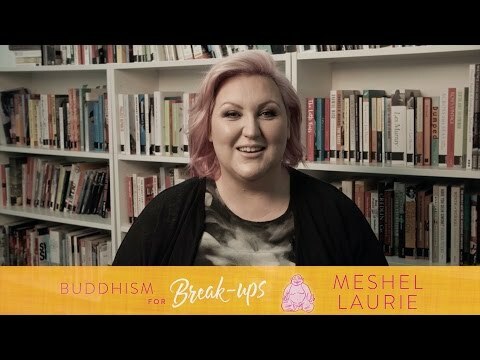 Whether you’re dealing with the breakdown of a marriage, the demise of a relationship or the disintegration of a friendship, Buddhism for Break-ups is your go-to guide for zen! I highly recommend this book for anyone going through a break up either recently or in the past. It has brought me so much clarity and I feel clear minded and inspired to live a happier life. Not just for partnership breakups, but also friendships and accepting that change is inevitable. A wonderful, honest interpretation of how to look at loss or change in life. This was a practical book - full of scenarios I related to. The advise made sense and confirmed many things I have come to realise through my own separation. This book resonated, supported, soothed and guided me through a difficult time and continues to help me every day. Excellent read - not just for people who are breaking up. Excellent read - very useful life tips.